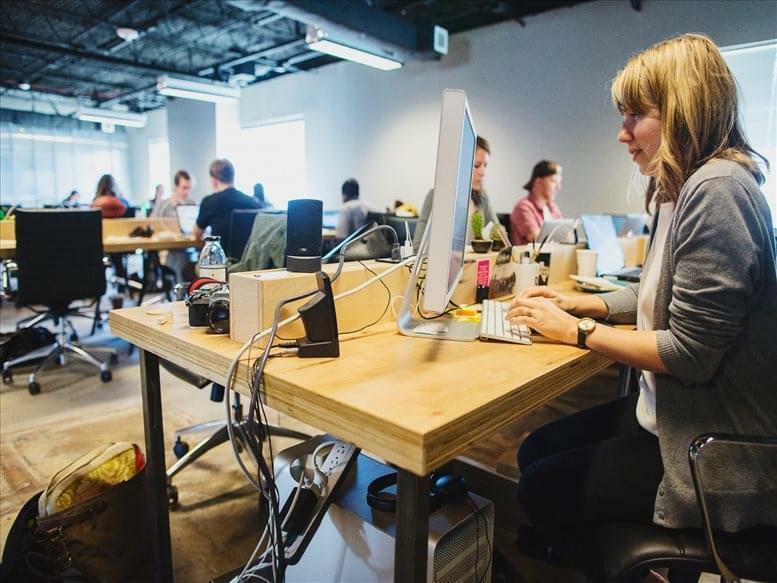 This North Austin coworking space offers shared space and private offices starting at very affordable rates. 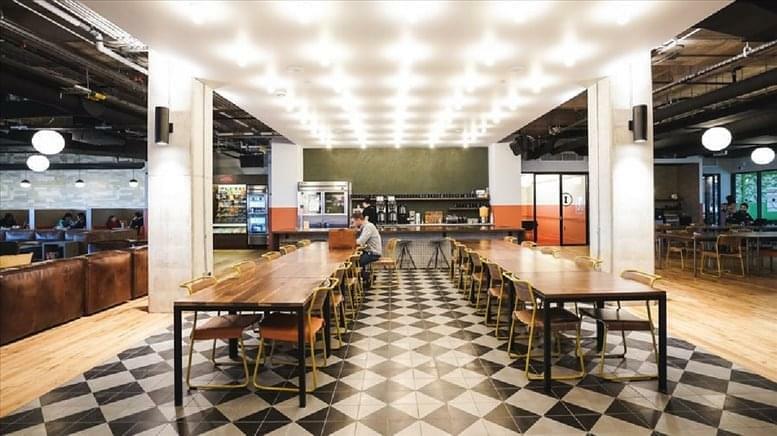 Coworking options include dedicated desks and hot desking. The center provides a stocked kitchen with micro-roasted coffee and fruit water. 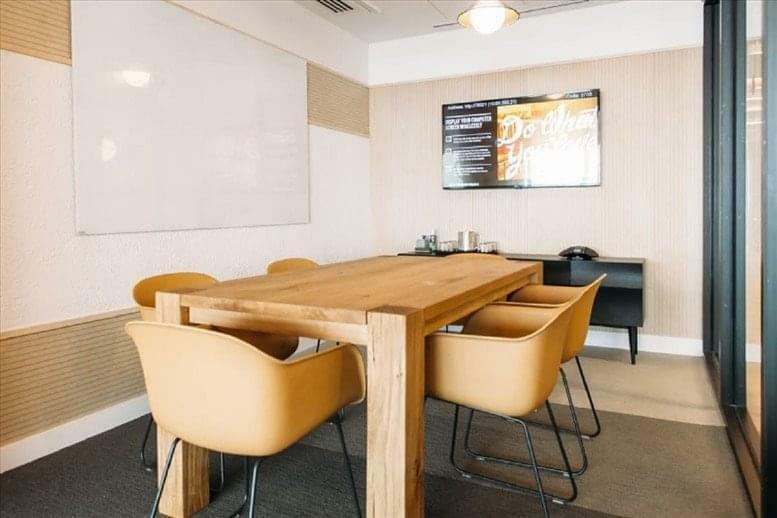 Members are welcome to use the conference rooms and meeting spaces, soundproofed phone booths, printers and office supplies. When you step through the doors of this center, you will begin to see why this is not just typical Austin business setting. The design of the space is focused on an integration of technology with nature, combining the inspiration of the modern with the tranquility of wood, greenery, and earthy color schemes. 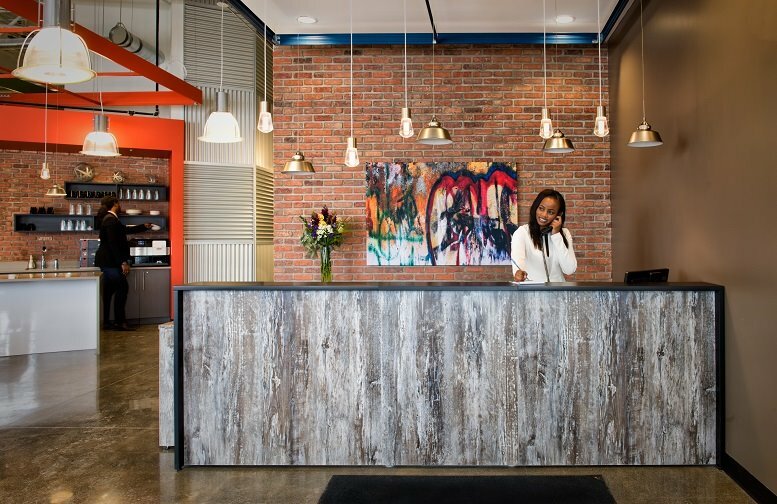 The two floors of workspace boast an incredible variety of spaces purposed for everything you need out of an office space and more. There are large common areas with comfortable sofas and armchairs that you and your clients will enjoy, concealed spaces ideal for making private phone calls or video chatting. The games room complete with beanbags and WII is the perfect place to recharge your creativity. The private offices here range from setups for entrepreneurs to massive spaces allowing for office teams of over 50 people! If you're a freelancer who enjoys working around others, there are also affordable collaborative spaces where you can reserve a space for yourself or just whatever is available. 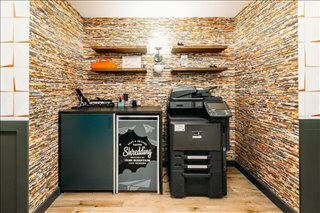 With a printing and copying station for handling your official documents to the break area with a variety of tasty beverages available including micro-roasted coffee, teas, and fruit water, the location has an extravagant selection of amenities both practical and luxurious. And thanks to the frequent center-sponsored social events, you will have a number of ways to expand your network and see you and your business grow. 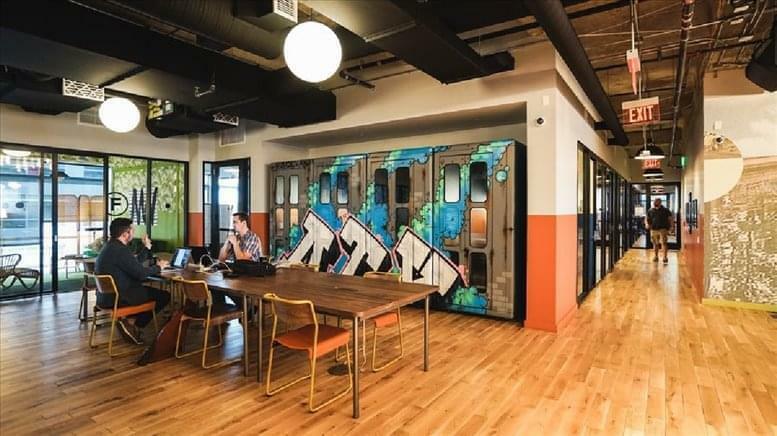 While the location is beneficial for better transit and the design is ideal for working in comfort, the real selling point of this center is the focus on teamwork, free-thinking, and community. The designers of this office center recognize that working at your office should be loved rather than just tolerated and that relaxation can be just as important as focus in achieving a balanced, healthy, and productive work ethic. 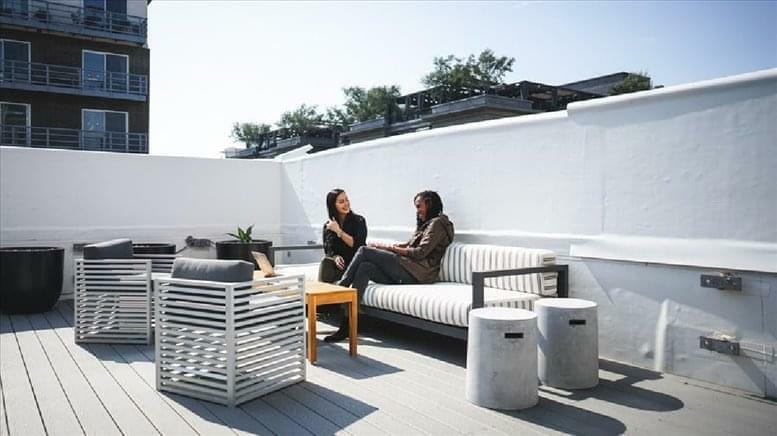 If you need some fresh air, you can come to the terrace where you can lounge, enjoy the sunlight and the greenery, and eat before heading back to your workspace. If you just need to take your mind off that project for a while, there is a gaming lounge (complete with bean bags and a Wii system) as well as an arcade room. And if you would enjoy a little pet companionship during the day, this center is dog-friendly! Bring your pal to work, and then get to the tasks of the day the way you like to. Use your personal style to make your business space work for you. For those who know business differently, it can be difficult to find others who share your passion for creativity or the unique person-centered focus of your business model. 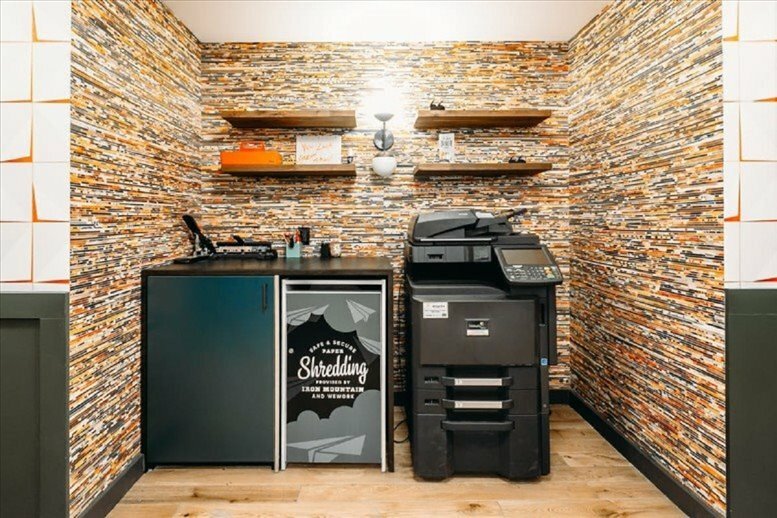 But if you would love to have a work environment where individuality and innovative solutions are the norm, you will absolutely want to see this coworking office center. This centre is ideally located for quick transportation around the greater Austin area and beyond, it is a cultivating ground for free-thinkers wanting to make their mark on the Austin business scene. 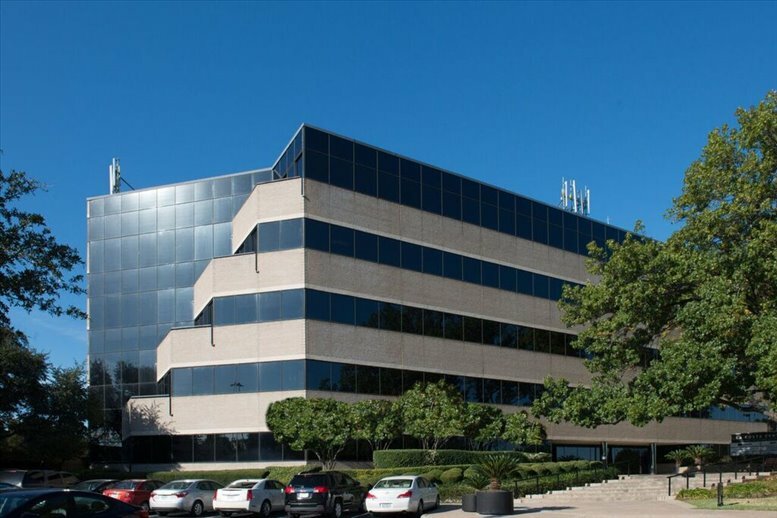 This office center is found just south of the MoPac Expressway, a thoroughfare that will provide you with easy transit all the way to downtown as well as a means to get to the state highways and interstates in the area. The neighborhood has a wide selection of retail and dining options, ensuring that after pursuing exciting plans at work, you have a variety of options for relaxation after hours. Have business elsewhere in town you need to take care of? Kramer station, a stop for the city's MetroRail system, is just five minutes away, and there a bus station within easy walking distance so you can save money on your commute. The center caters for those taking care of their wellbeing with bike racks in the car park you can ride your bike to work and safely store it away during the work day. And if your business takes you further abroad, you can book a flight out of Austin-Bergstrom International, just half an hour away, or take a ride on Amtrak's Texas Eagle line, servicing locations all the way from Chicago to Los Angeles. Wherever you need to go, this location has transportation options within easy reach to get you there. This office space on 11801 Domain Blvd, North Burnet, North Austin, Austin is available immediately. Details and prices are available by calling 1-877-693-6433 or by submitting the inquiry form.